Cameroon's national soccer team captain, Samuel Eto'o has been handed a fifteen match ban for inciting his team mates to revolt against how the team is managed. The players refused to travel to Algeria for a friendly game, in what the Anzhi striker described as a protest action along the lines of the "Arab Spring" revolutions that led to fall of the Presidents of Tunisia and Egypt, the Cameroon Football Federation (Fecafoot) said in a statement on Friday. 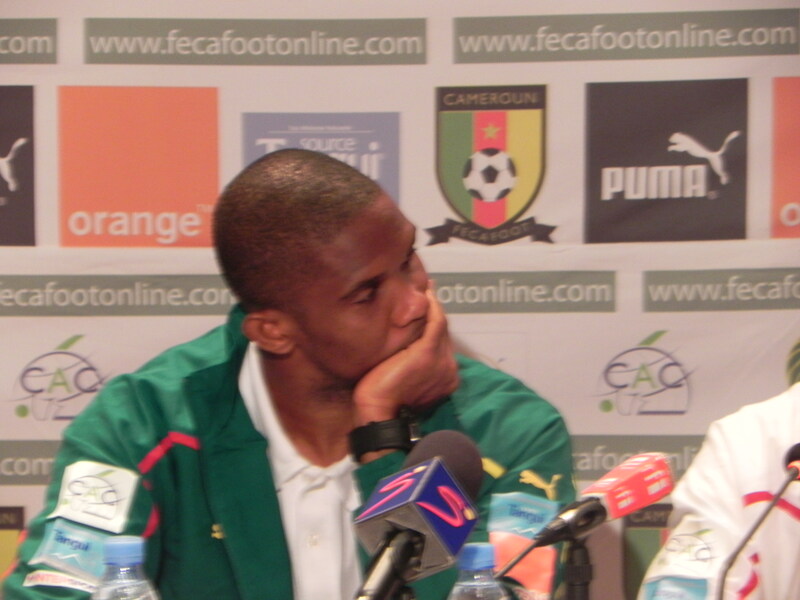 Eto'o told a disciplinary hearing on Monday 12 December that incompetence, dishonesty and injustice were the hallmarks of football managers in Cameroon. He said the players were treated like "kids" and their refusal to play against Algeria was a sign of protest against this state of affairs. The players who were in Marrakech, Morocco for a friendly tournament, had insisted that they would not travel to Algeria except authorities pay up a customary appearance fee of FCFA 500,000 each they get at every national team camp, which had not been handed them on that occasion. Fecafoot says its officials and those of the Ministry of Sport held several meetings with the players, particularly the captain, his deputy Enoh Eyong Takang and other senior players: Idriss Kameni, Jean Makoun and Alexandre Song but the players refused to budge. The Federation says Eto'o failed to explain why the players refused to travel although the Algerian Federation offered to pay $30,000 once the team arrived in Algeria while the Cameroon Ministry of Sport dispatched FCFA 15 million. Very interesting post. Thanks a lot for sharing. Idriss Kameni, Jean Makoun and Alexandre Song but the players refused to budge.